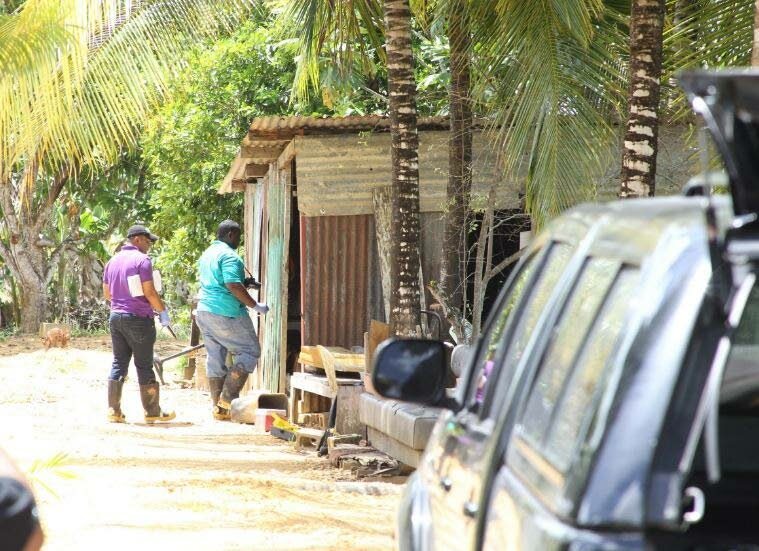 The man, whom police released from custody on suspicion of murdering one of his female neighbours, is now homeless and no longer welcome in the village of Gasparillo. Two days ago, residents broke down his wooden and galvanised structure at Coco Piece in Bonne Aventure. But before they demolished it, residents removed his household items and delivered them to his relatives at Williamsville. Police said days after the 58-year-old was released he returned to the community and began threatening to “wipe out” villagers. “We don’t want him to come back here. People fear him. He has nothing to come back to in the community. We are looking out for him and if we see him we will call the police,” said one resident. He was suspected of bludgeoning housewife Kavita Lisa Jokhan, 27, to death at her home on May 23. Police had arrested him at the crime scene with blood all over his clothes. On May 30, Homicide Bureau Region III police released him pending further investigations. Reply to "Released murder suspect homeless and not welcome in his community"